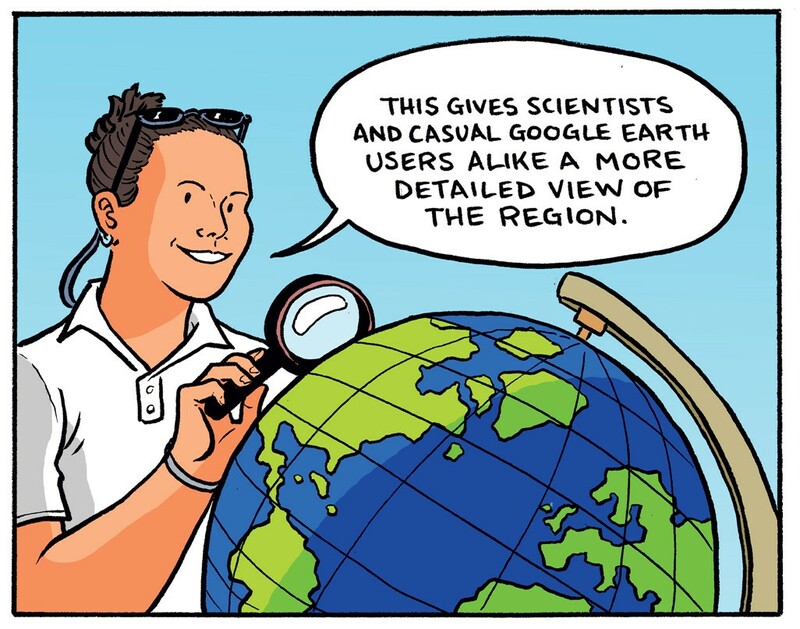 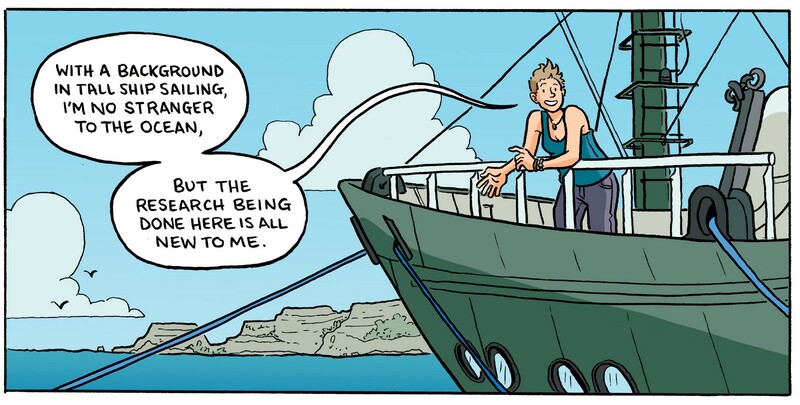 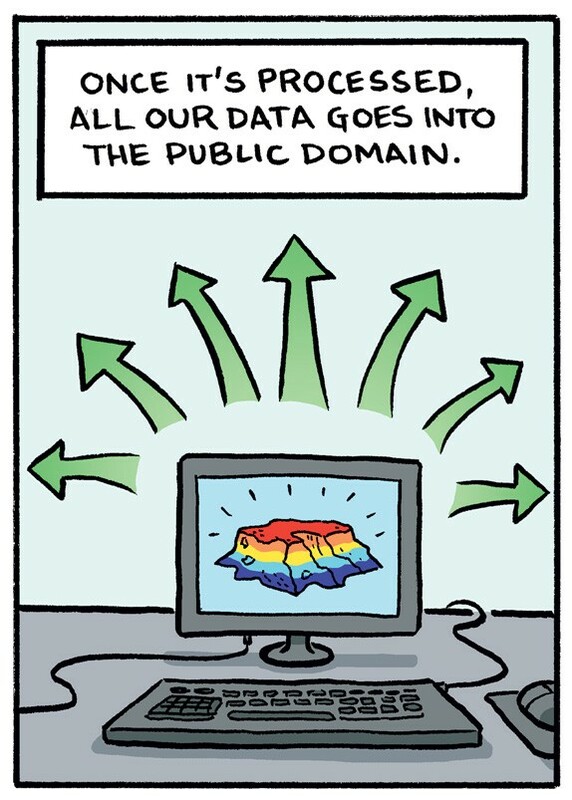 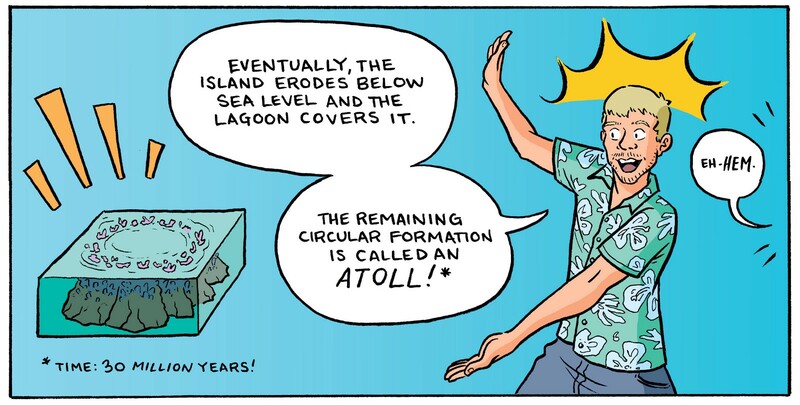 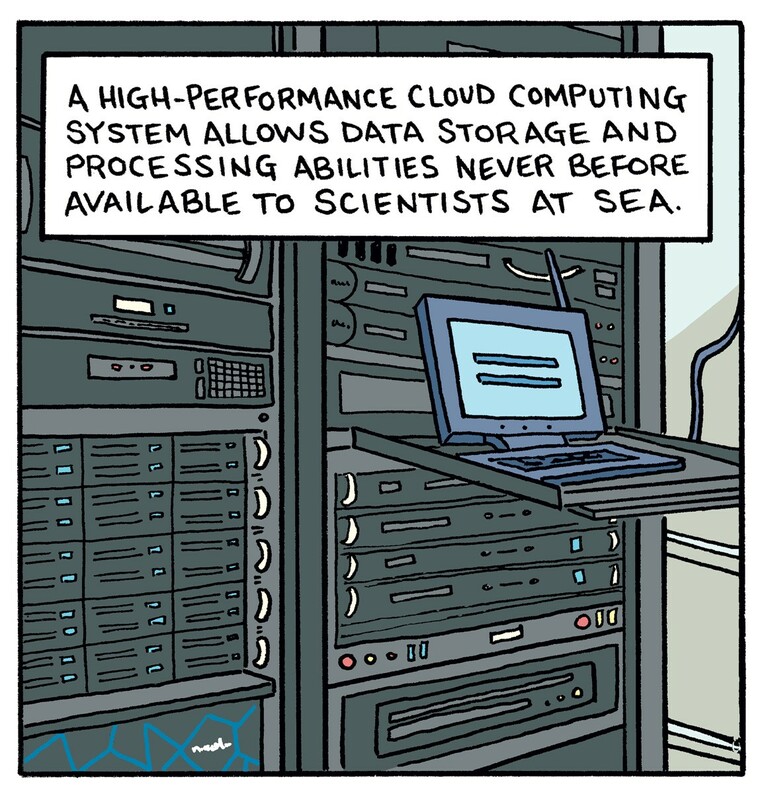 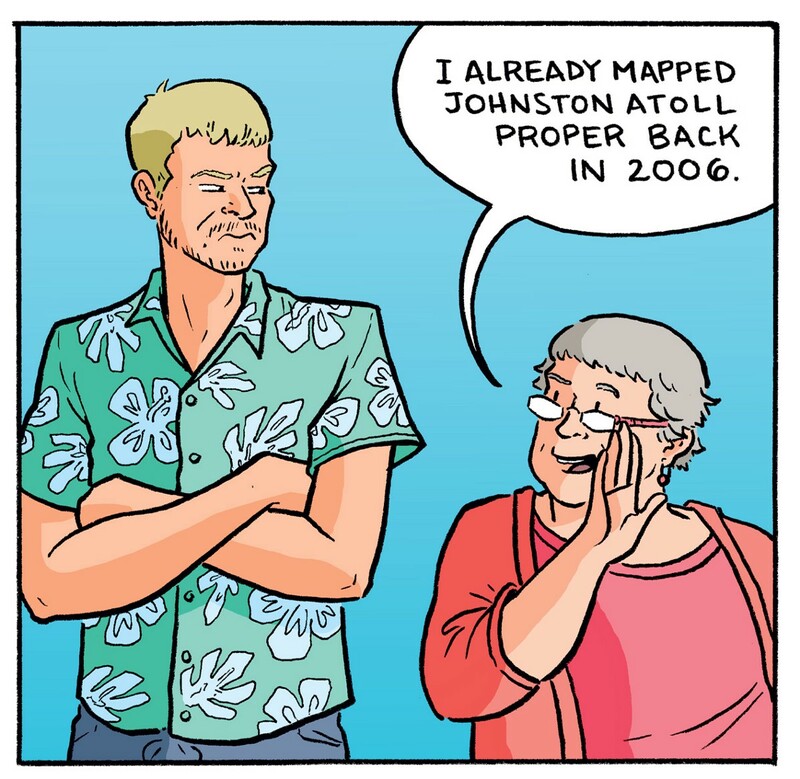 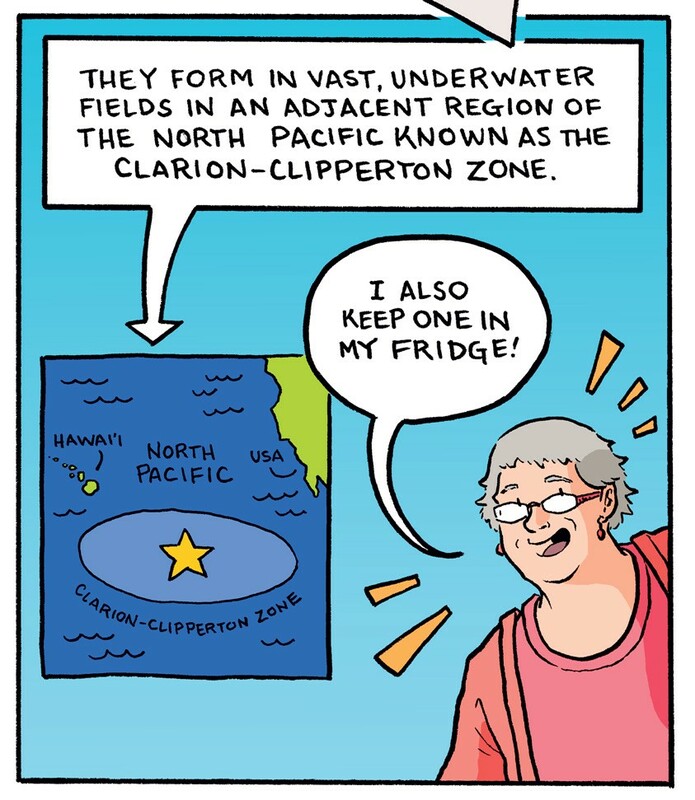 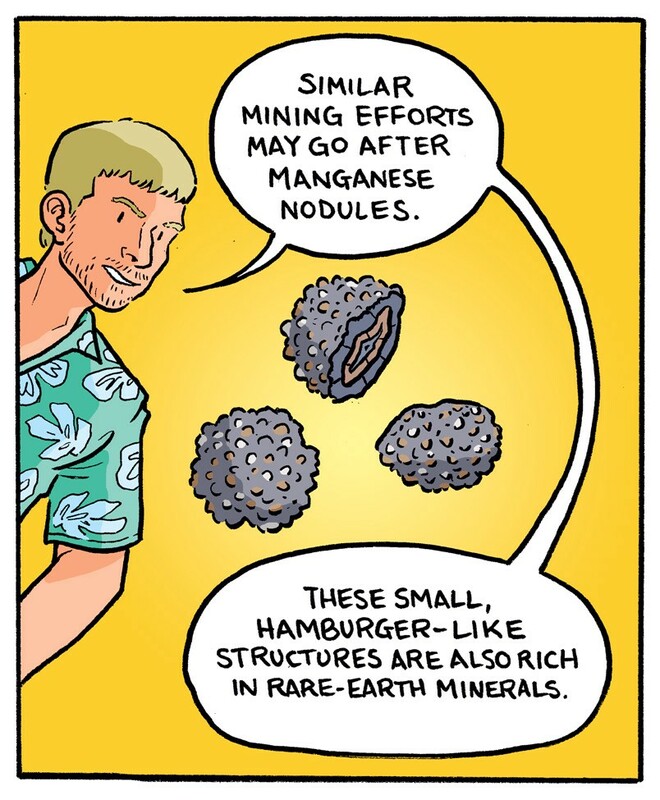 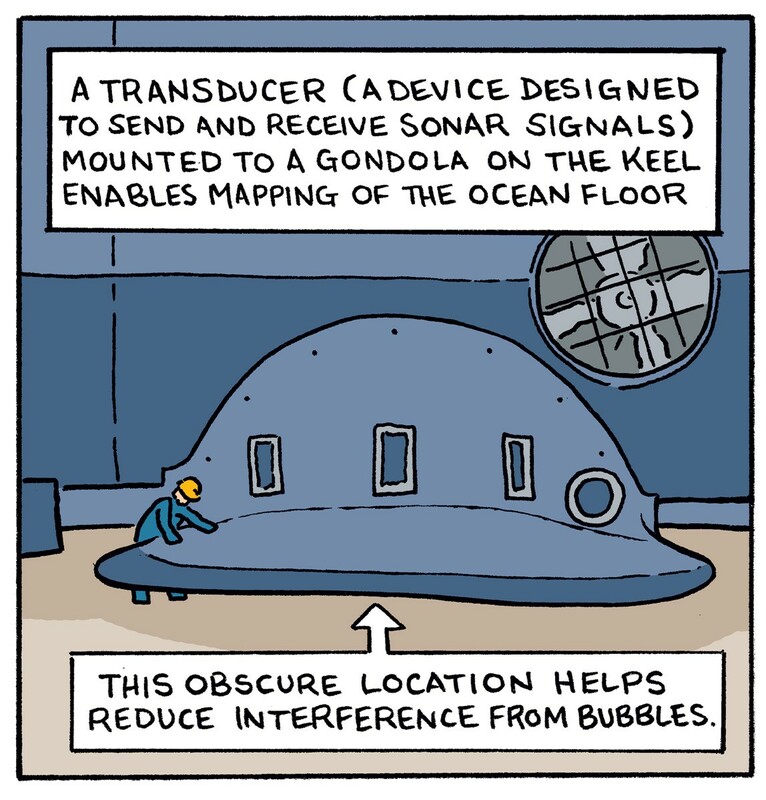 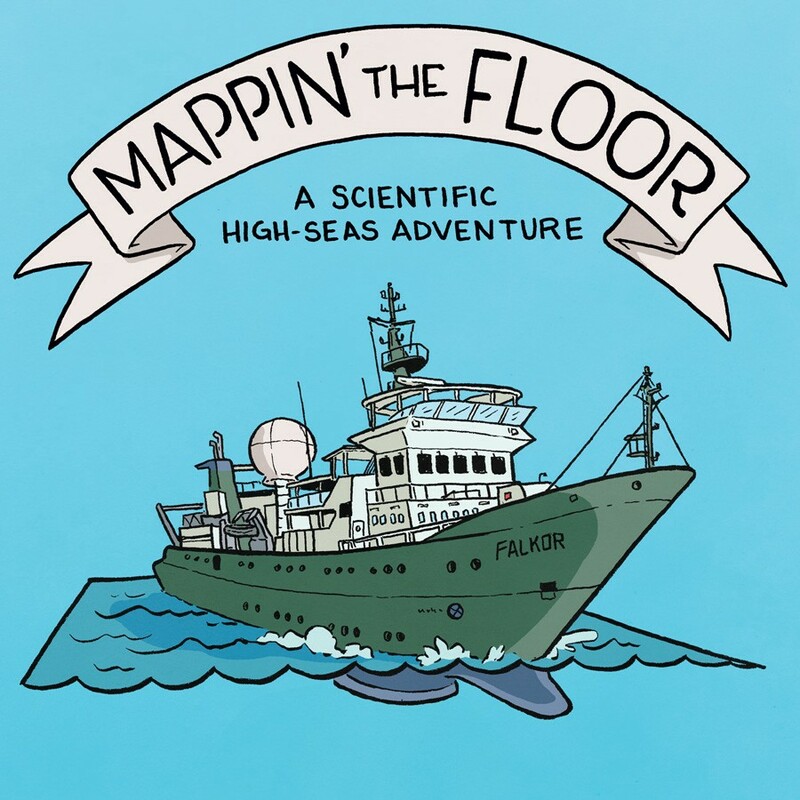 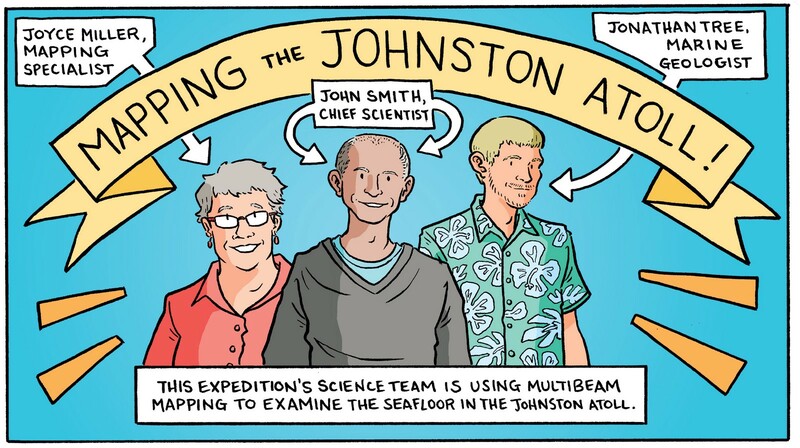 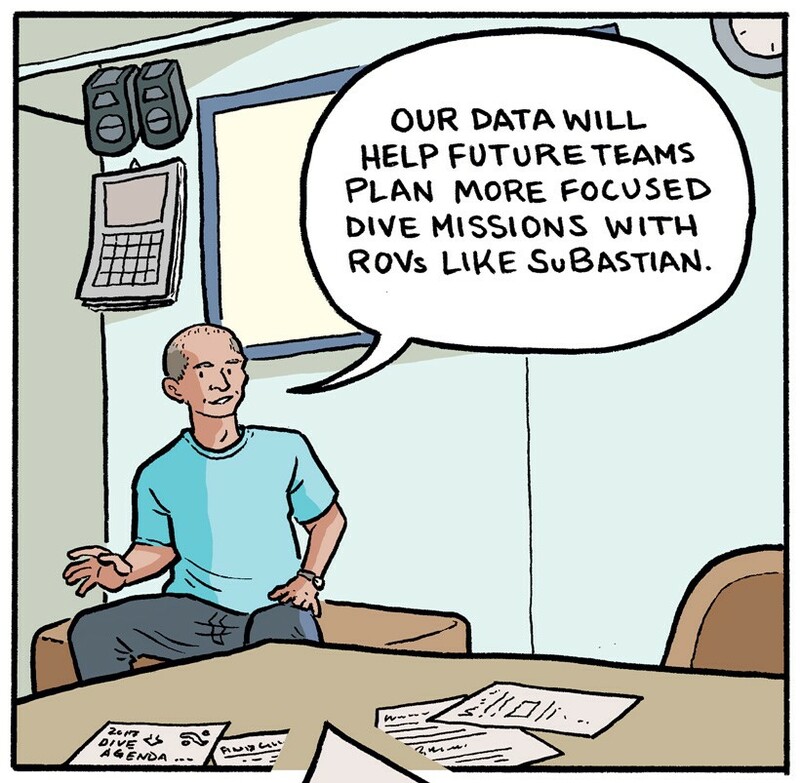 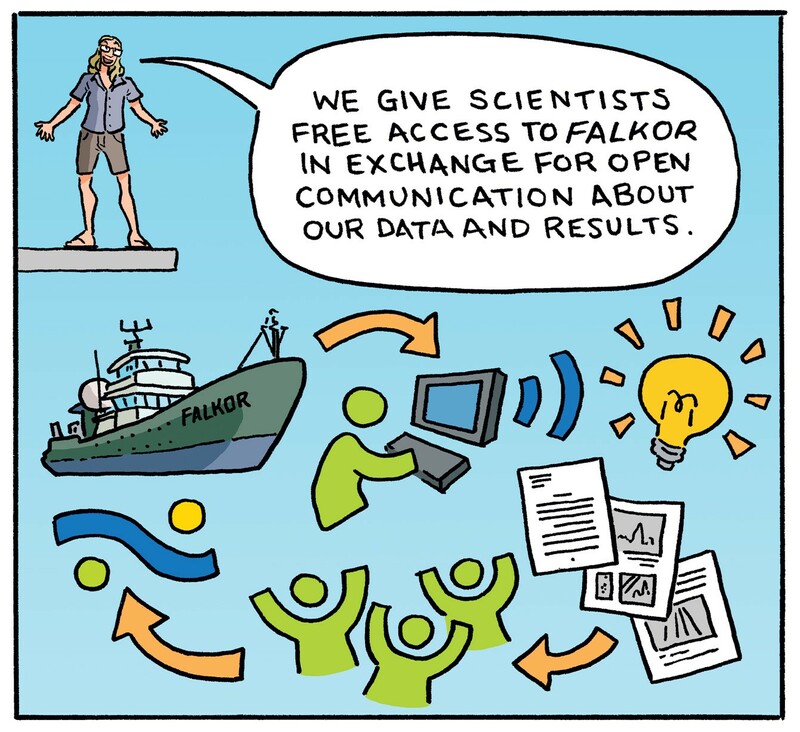 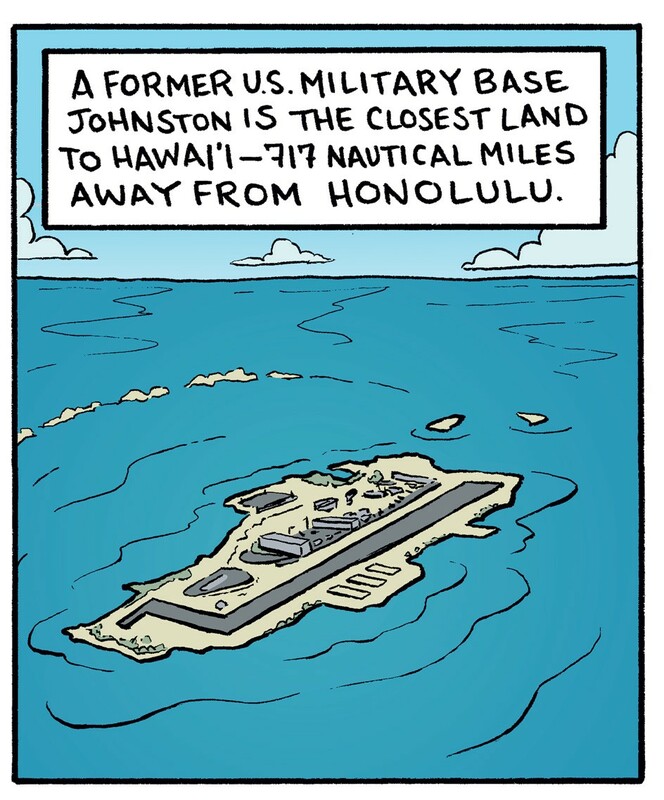 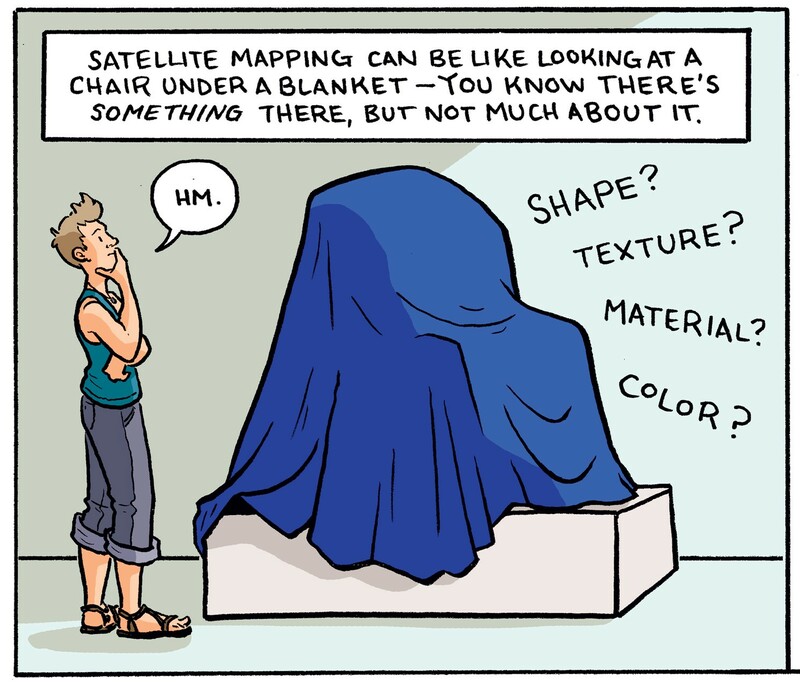 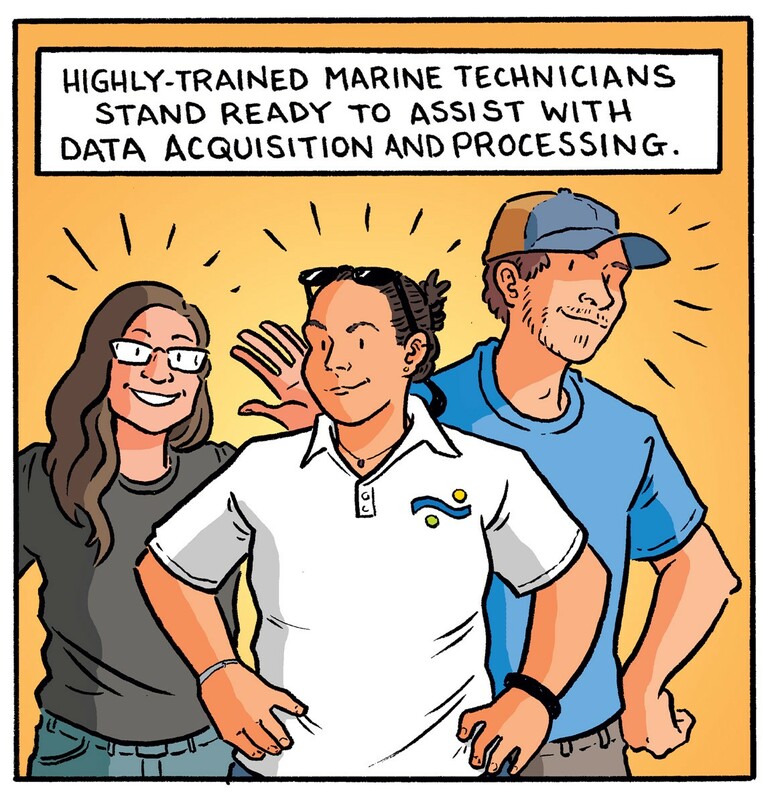 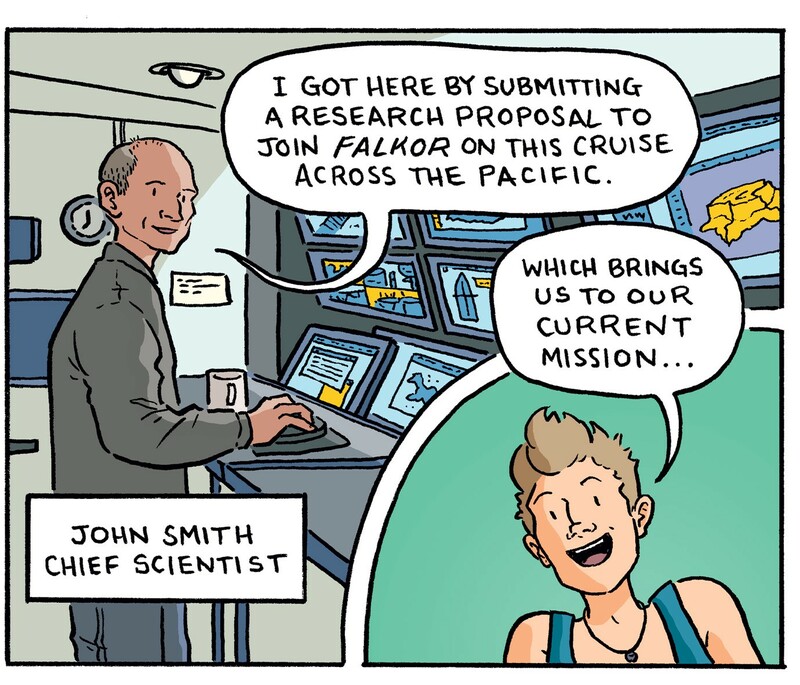 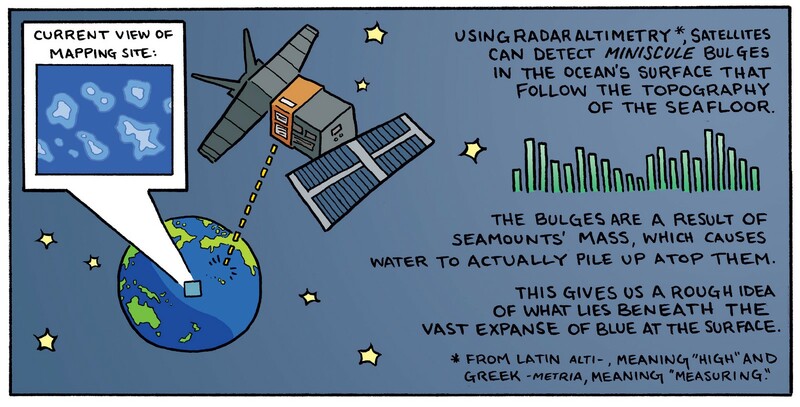 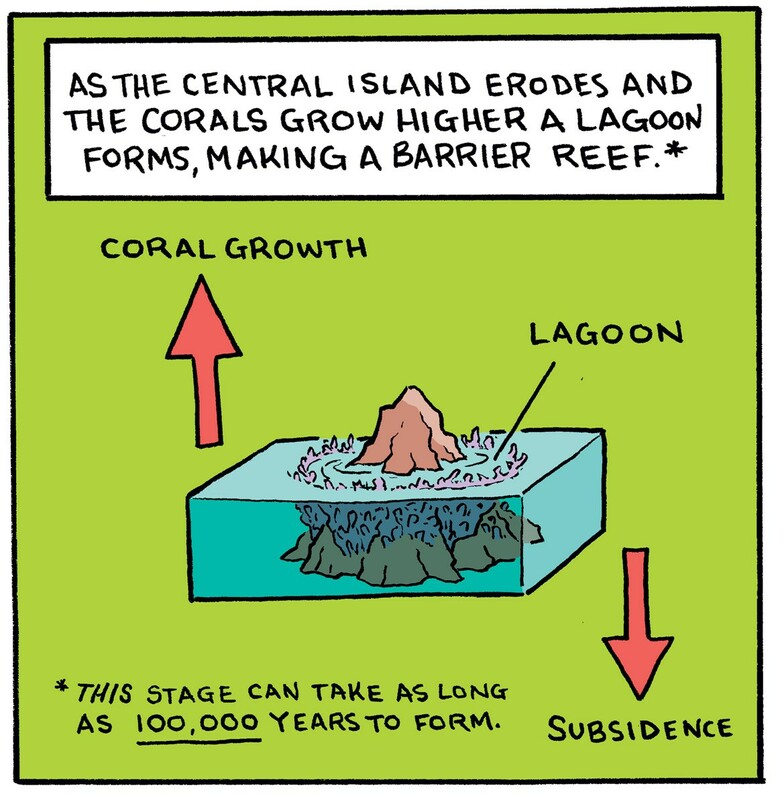 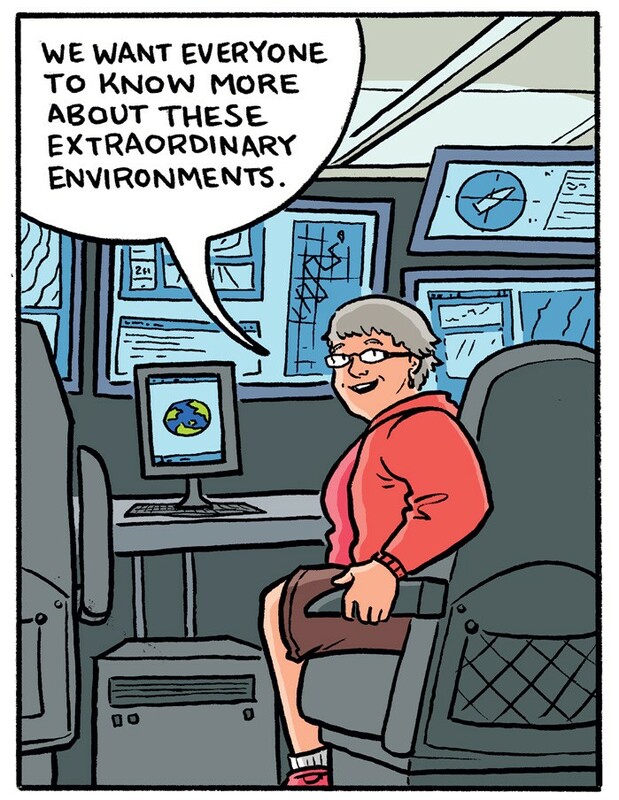 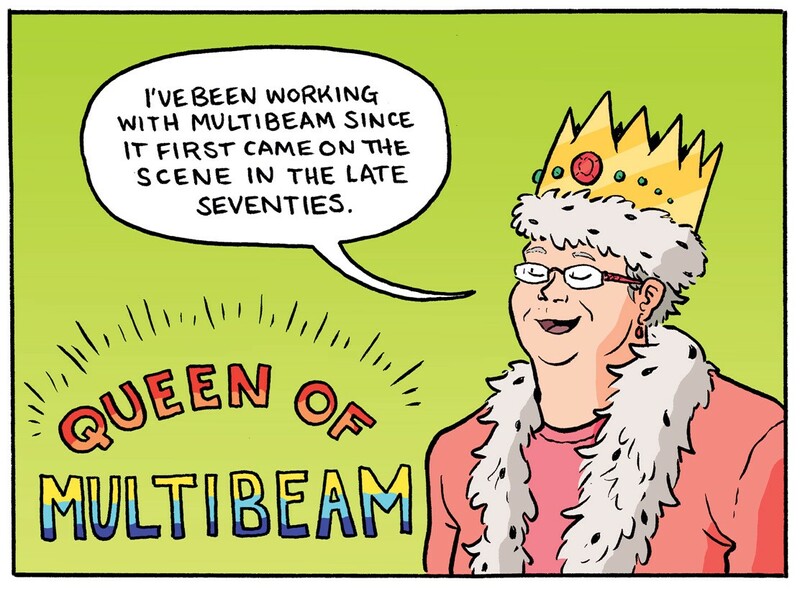 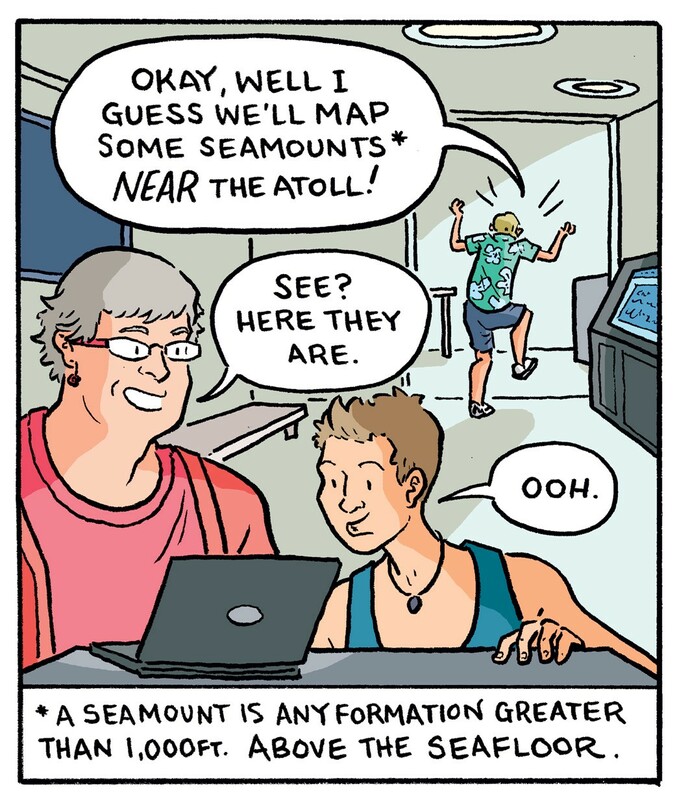 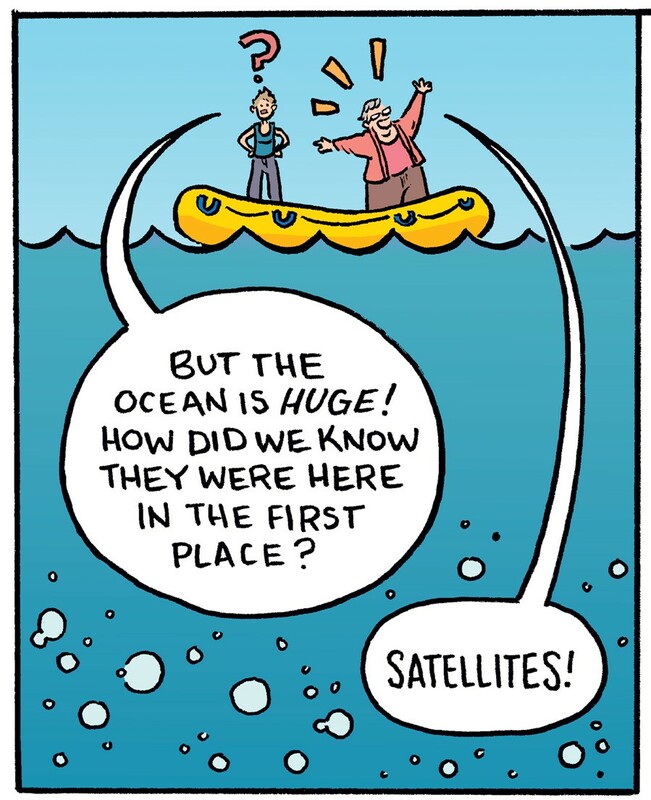 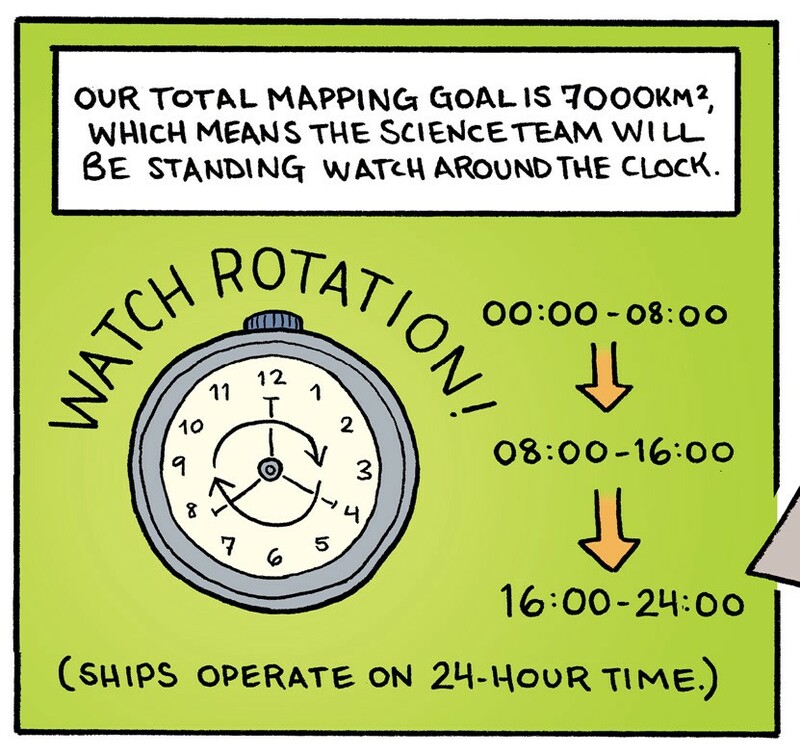 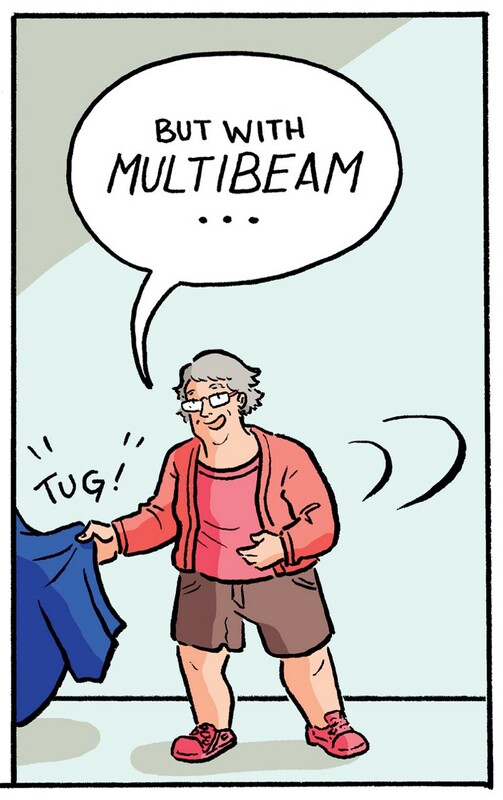 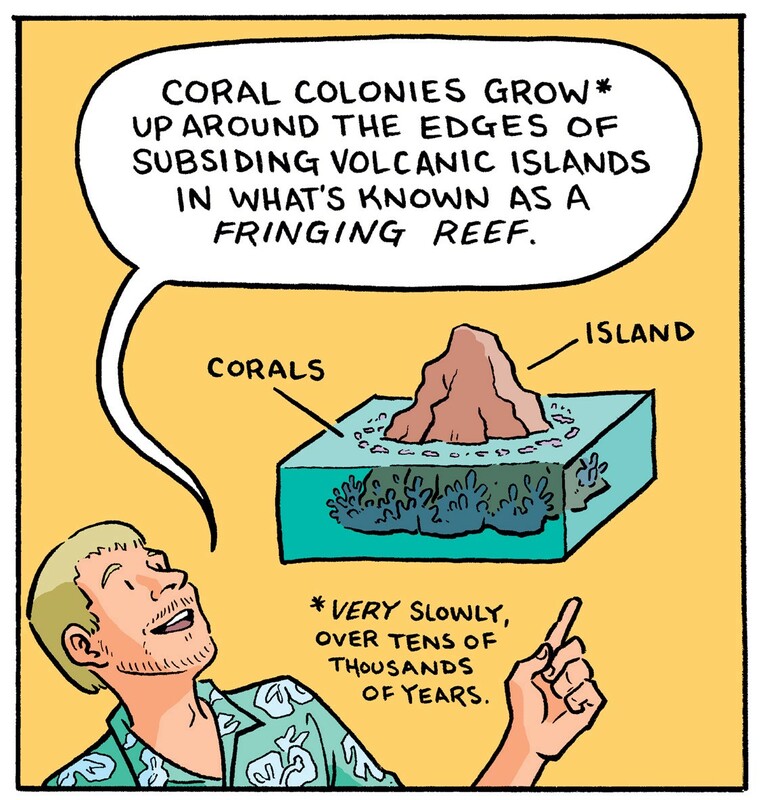 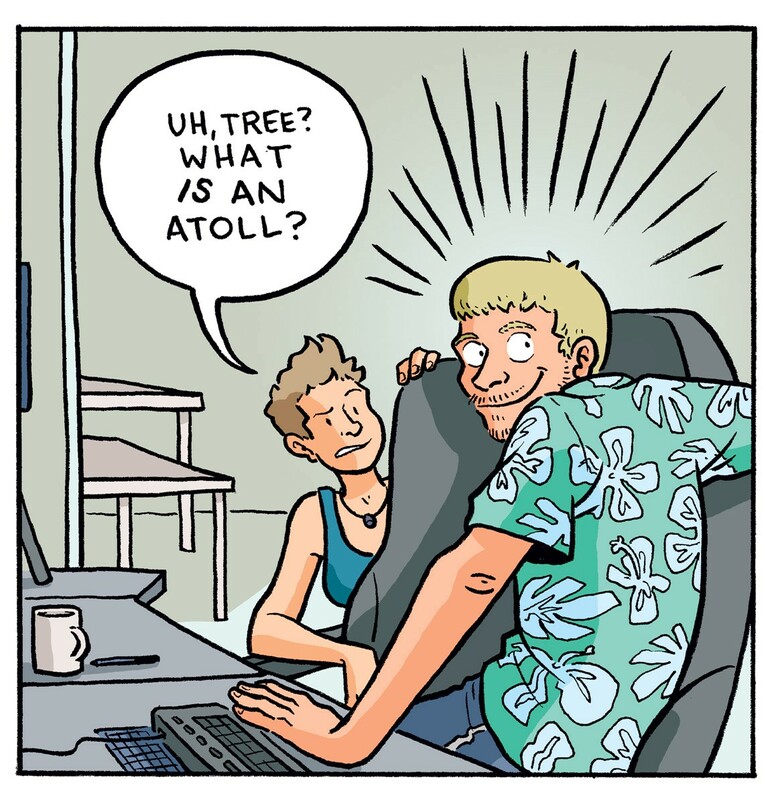 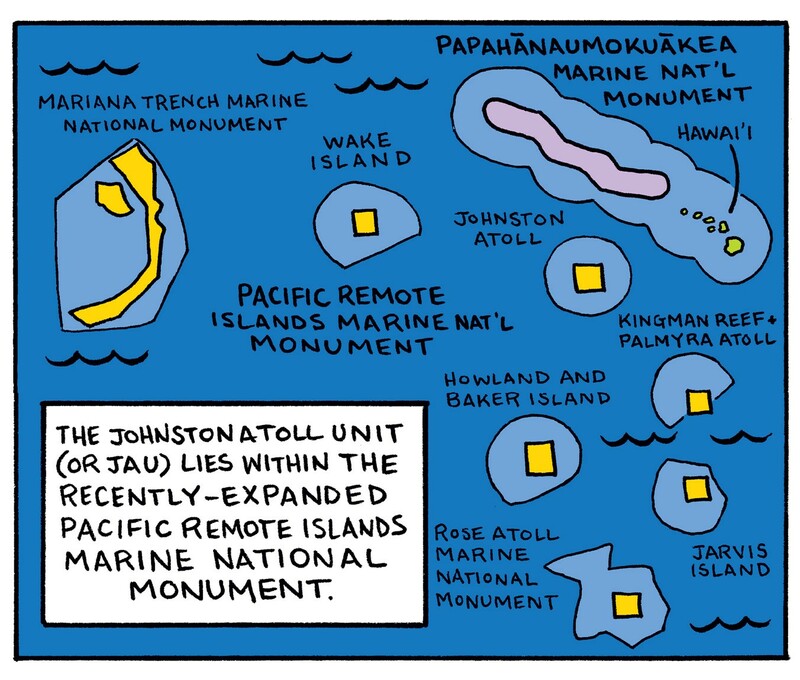 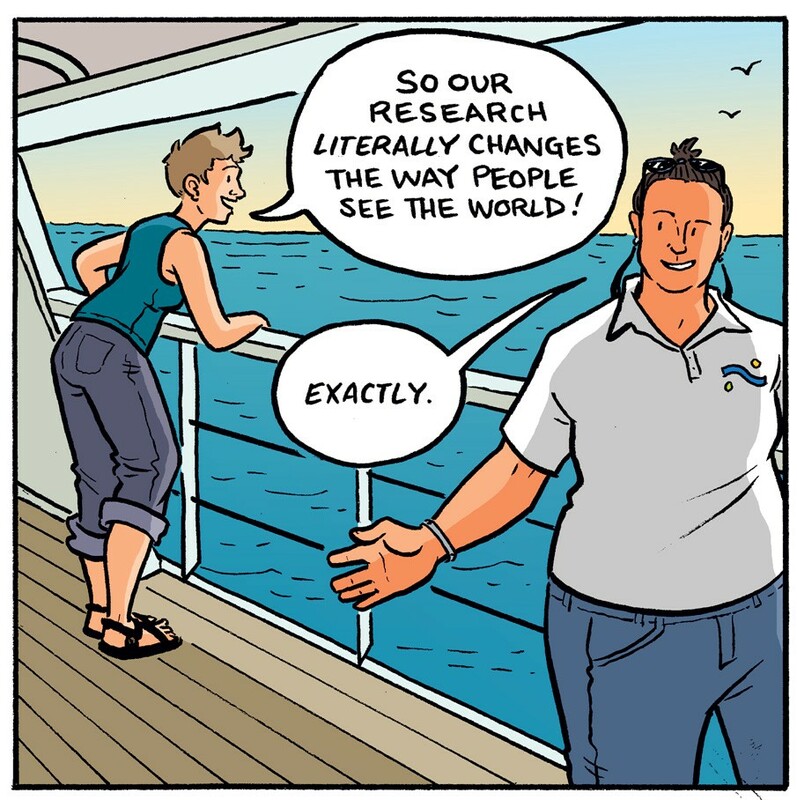 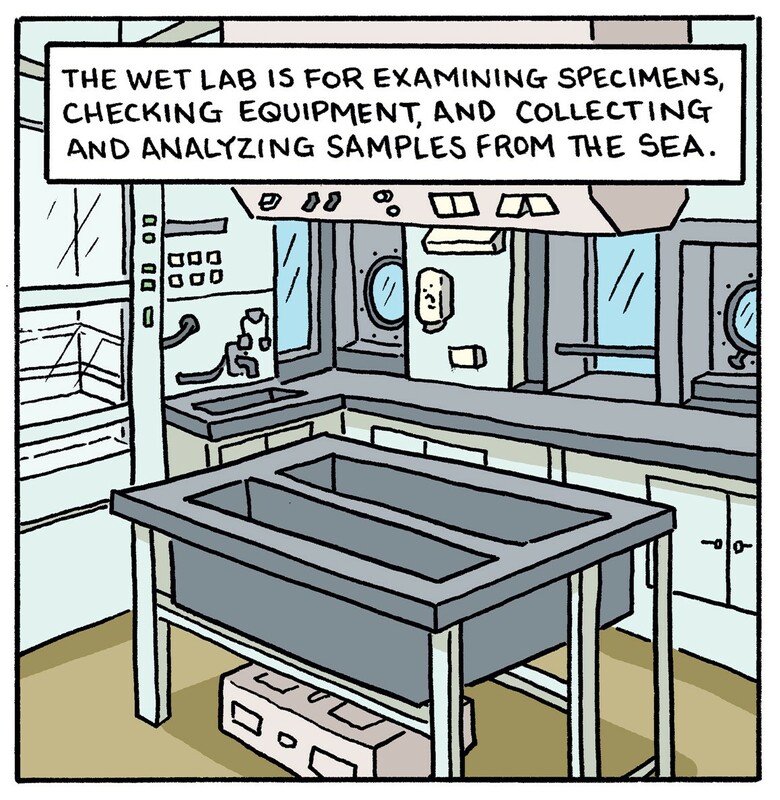 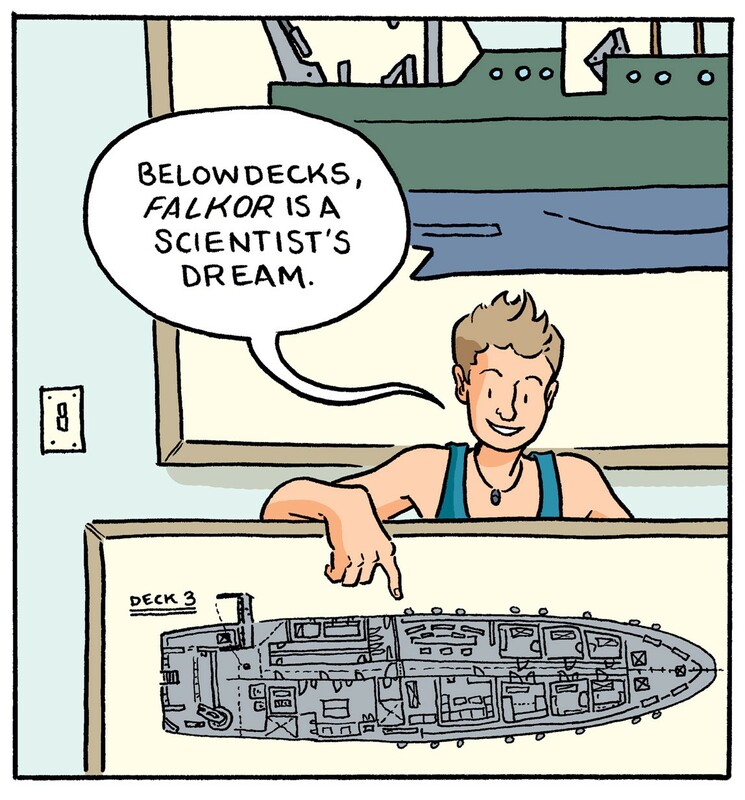 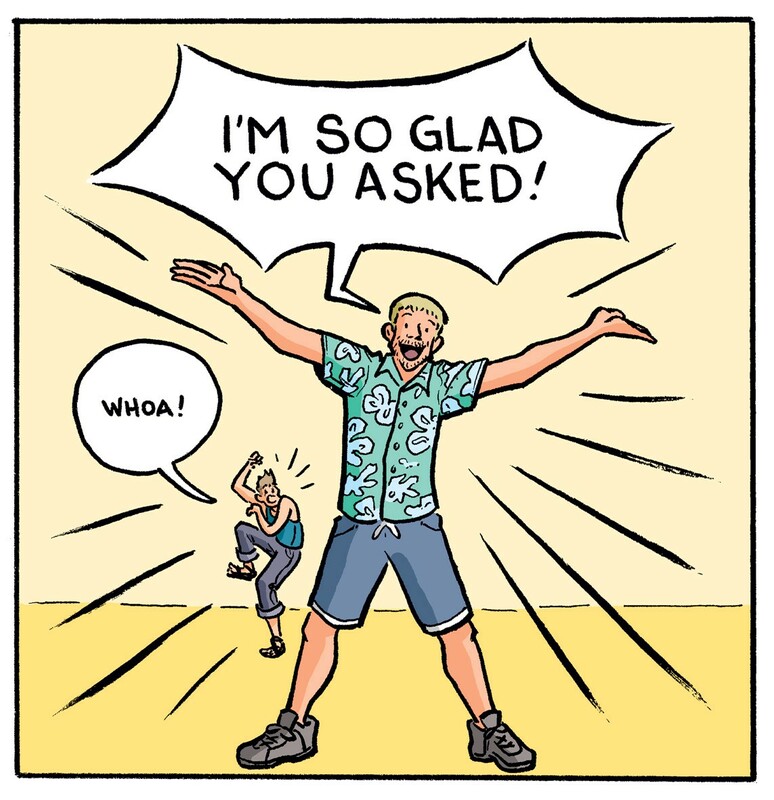 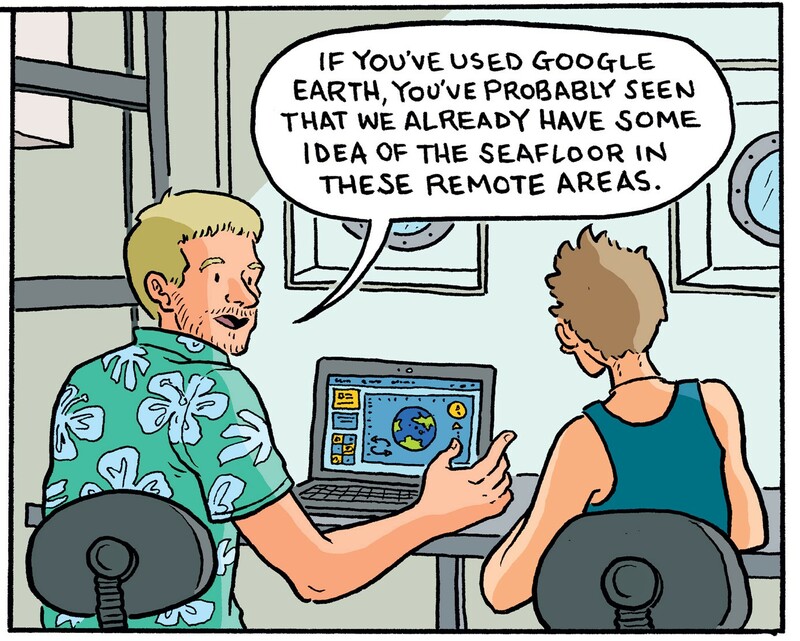 Three weeks in the Pacific on an oceanographic research vessel, distilled in comic form. 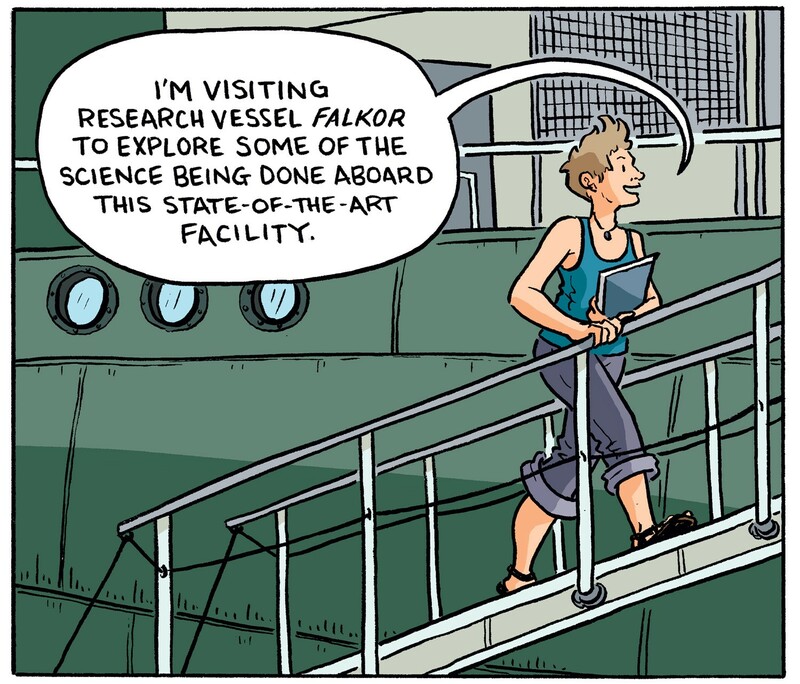 At the tail end of 2016 I flew to Guam to take up my position as Artist-in-Residence aboard R/V Falkor, a state-of-the-art oceanographic research vessel owned by the Schmidt Ocean Institute. 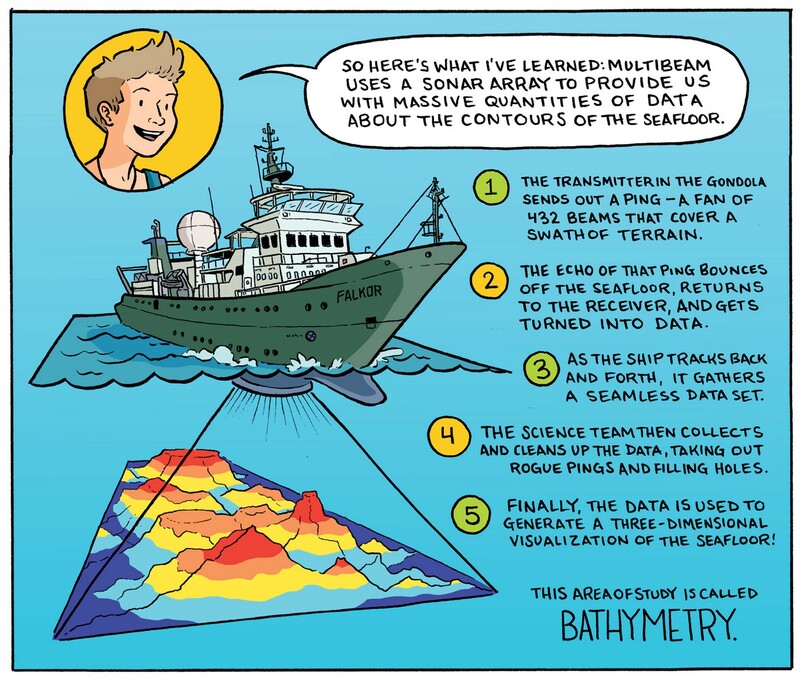 Over the next three weeks at sea, we covered thousands of miles of the rolling Pacific Ocean on our way to Honolulu, mapping the ocean floor below with the use of multibeam sonar as we went. 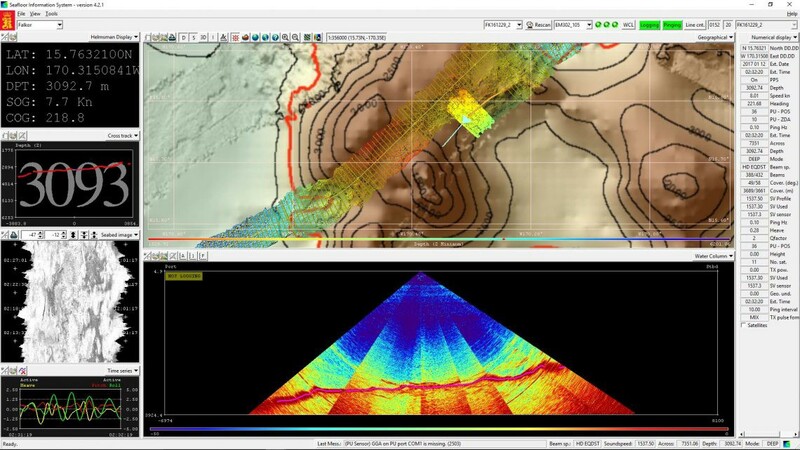 The multibeam mapping interface, where we monitor incoming data from the seafloor below. 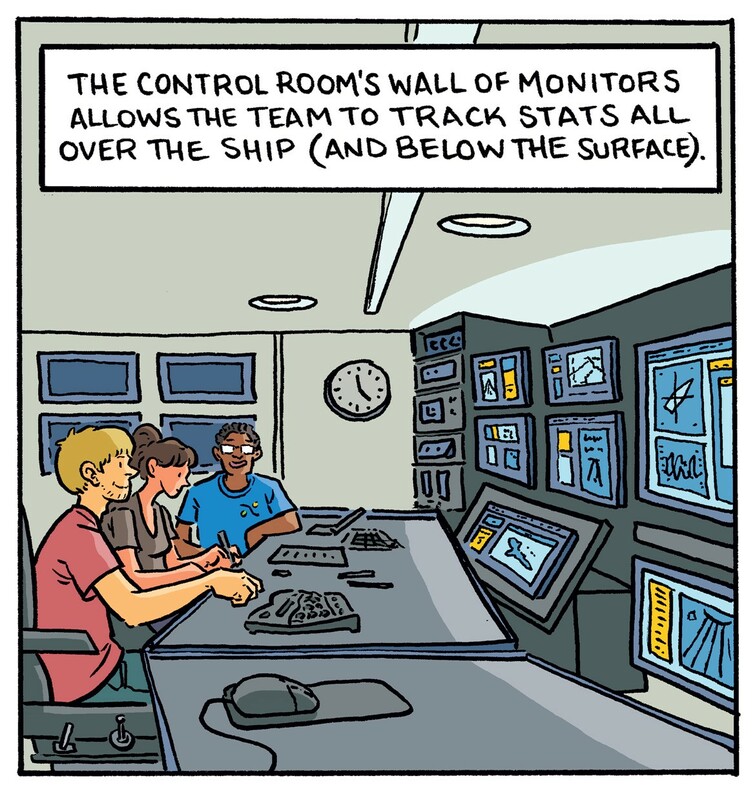 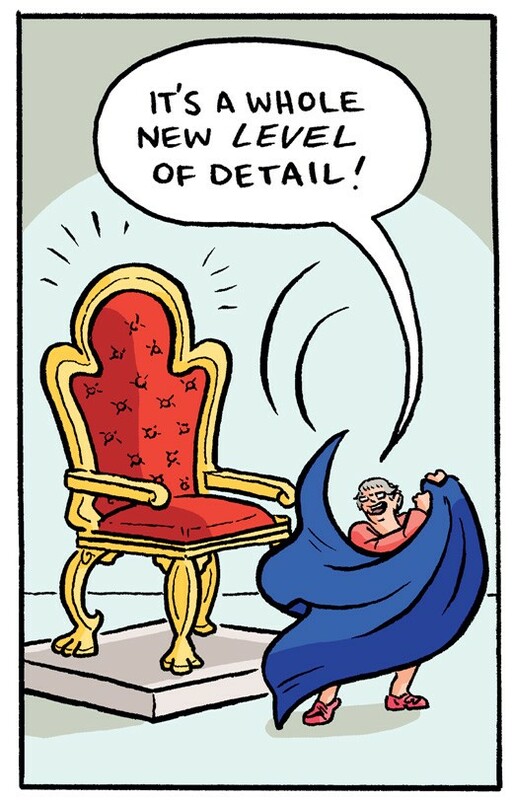 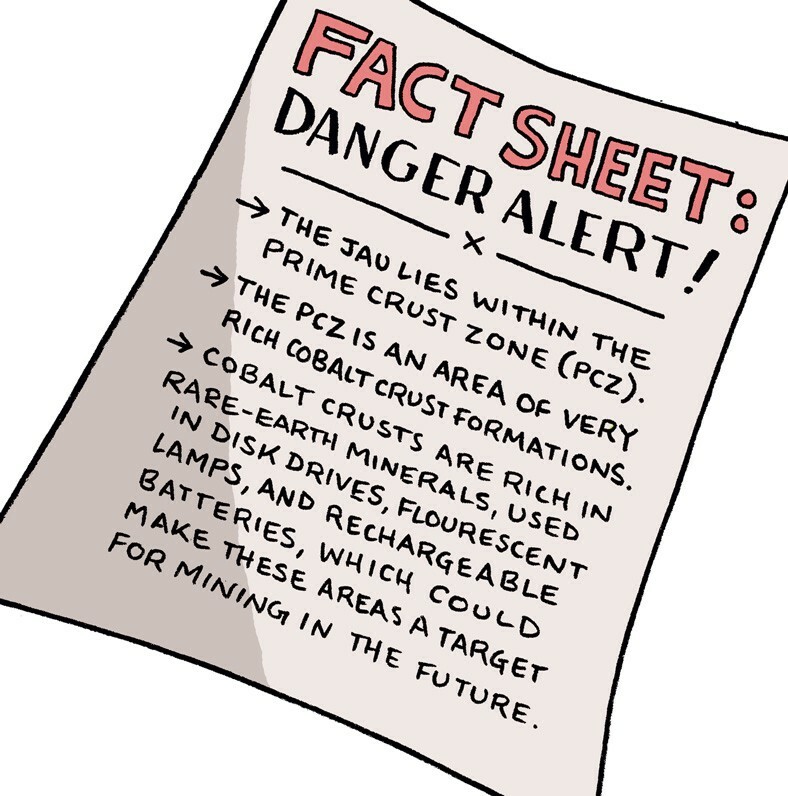 In between standing watch in the science control room, participating in outreach calls to classrooms ashore, and drinking in as many sunrises as I could get my eyes on, I scribbled furiously to distill some of the new information I’d picked up into the following comic—all drawn at sea! 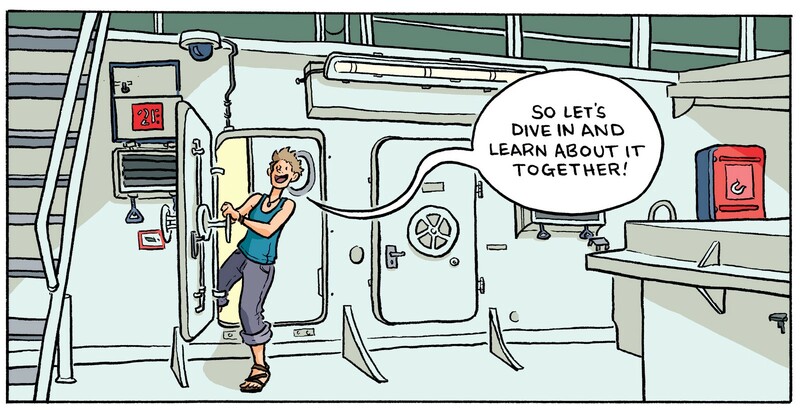 It is our hope that this finished piece can be used to help encourage engagement with marine science in classrooms and beyond. 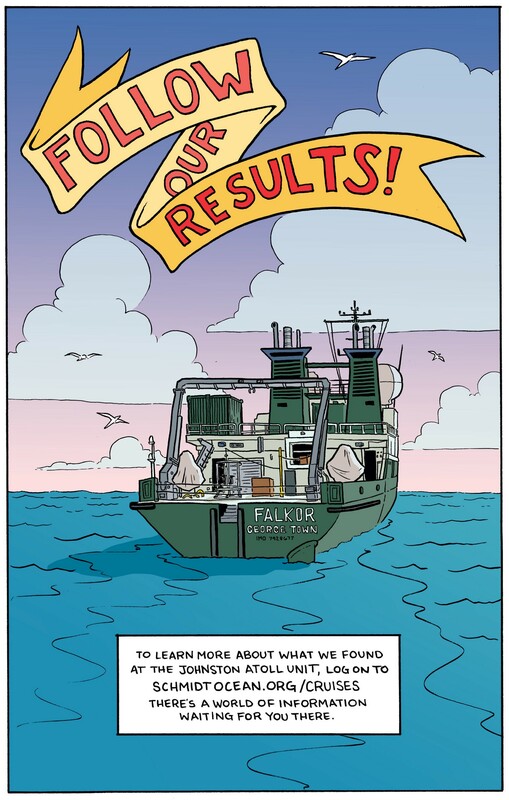 If you’d like a free PDF copy to download, print, distribute, or share, just click this link. 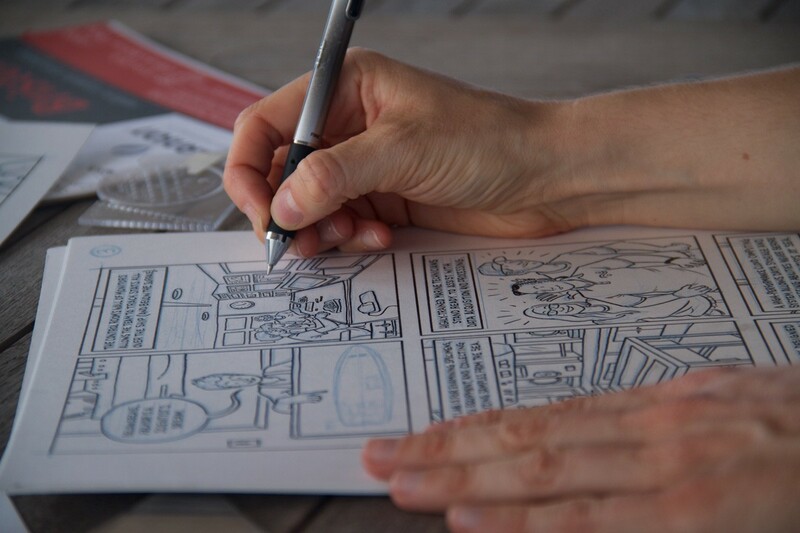 Want a physical copy shipped to your door? 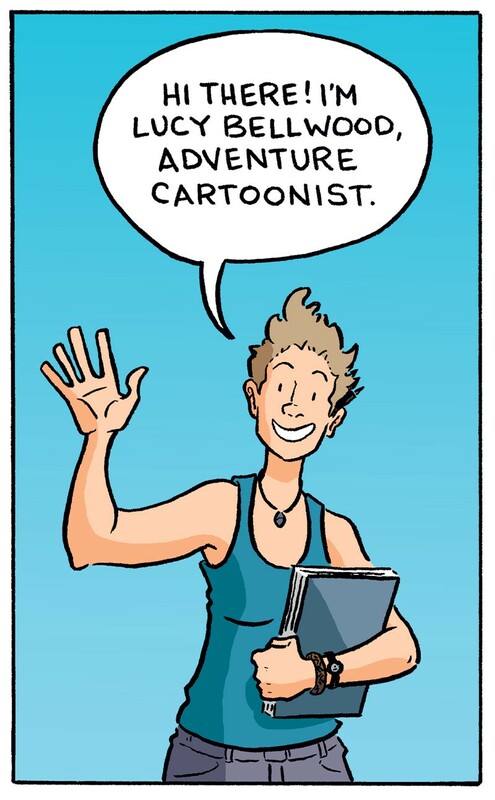 You can grab one of those (also free, just pay shipping) right here. 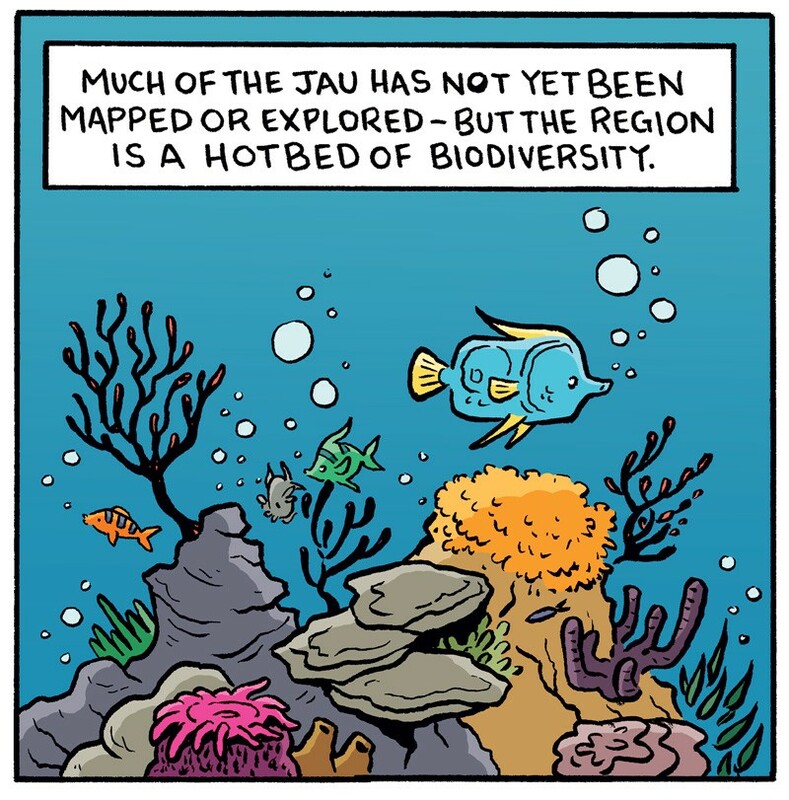 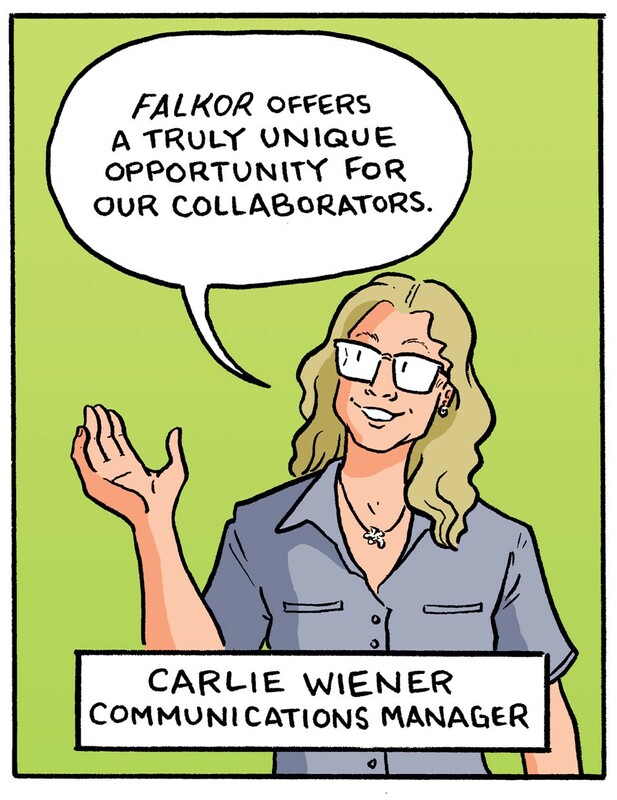 Thanks to Joey Wiser, who contributed the fantastic colors to the finished comic. 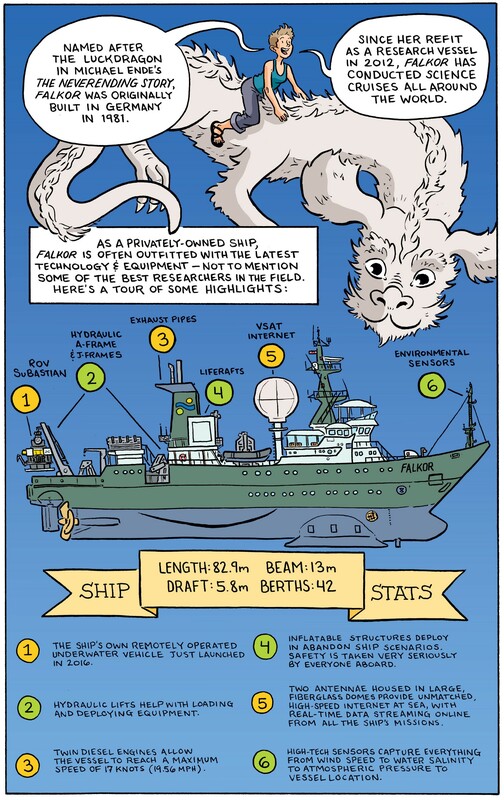 For those of you who are curious to learn more, be sure to check out Falkor’s vessel profile page, as well as our specific voyage archive here. 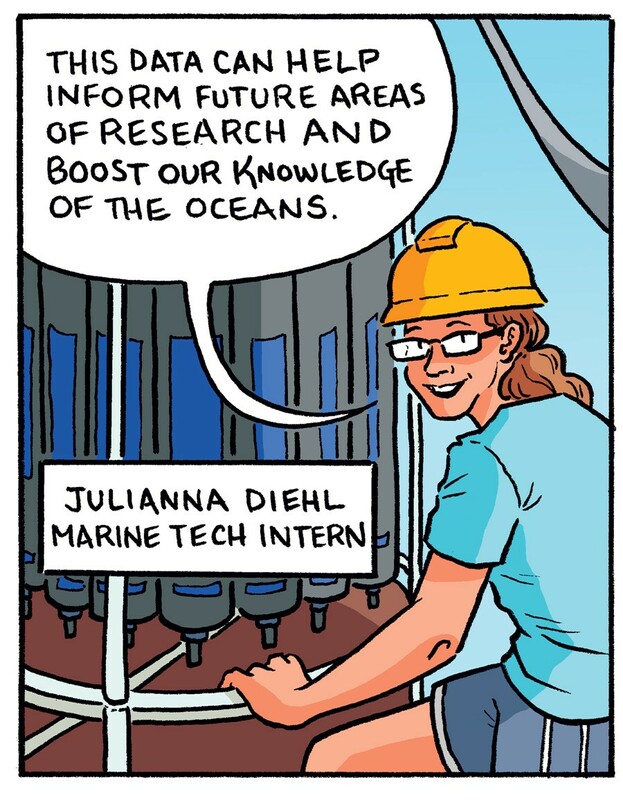 Sincerest thanks to the Schmidt Ocean Institute for having me along, and to my supporters on Patreon, who make the work that I do possible with their generosity and enthusiasm.